Last Halloween post for the year, promise! 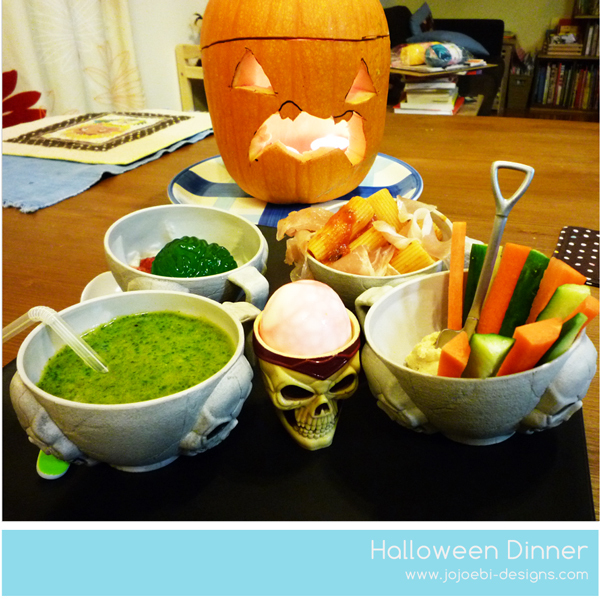 It is a tradition that I serve up something especially delicious revolting for Halloween dinner. I usually do a Halloween Muffin Tin Dinner but I decided this year to make use of the new punch bowl set. Pickled skeleton brain - hard boiled egg, I cracked the shell and left it in a pot of red water to get the effect. See, pretty healthy after all! 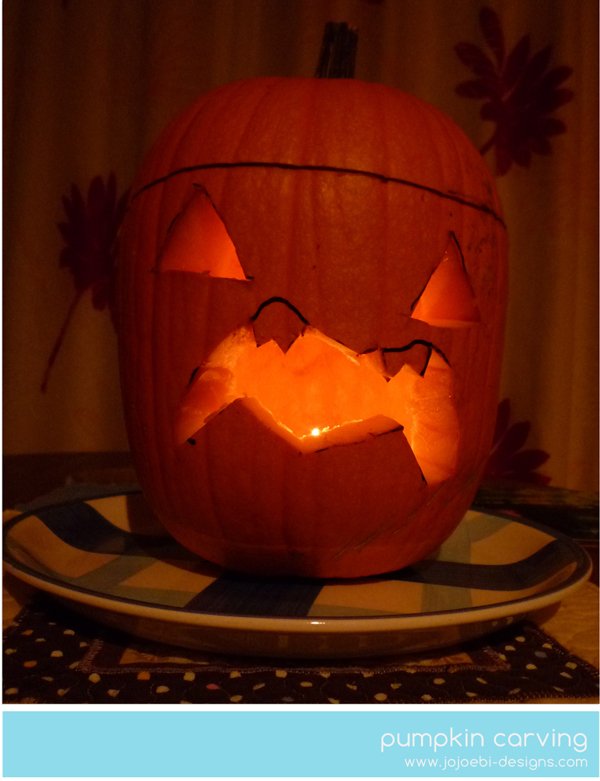 We also carved a pumpkin, this is a big deal because there are no pumpkin patches to go and pick one here, some of the supermarkets sell them - at an extortionate price I may add. We dropped lucky, when we went to the zoo last week, they had a few for sale for ¥500. 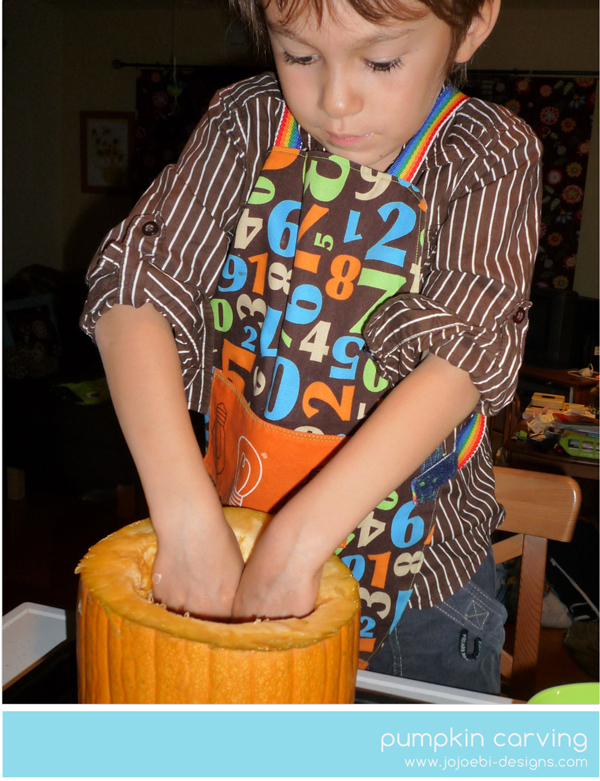 We are beginners at all this, we never did pumpkin carving as a kid, we used swede if anything. I think having the proper tools would help, I had horrible visions of real severed fingers, thankfully we finished without a spot of blood spilt!